Hey everybody! 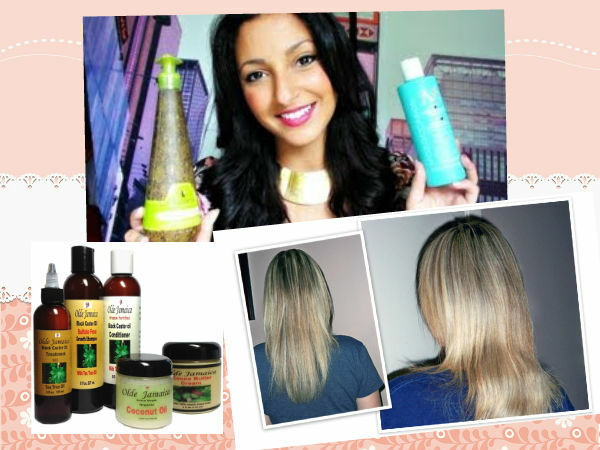 I am so excited to share to you today the steps on how to grow long healthy hair. Some of us may have experienced struggling with our hair issues, especially for African-American women with natural hair who are having difficulties in growing their hair or that their hair grows so slowly. I want to share some tips that I hope can help you with your present hair growth problems. 1. The first or the most basic tip is to shampoo your hair and clean your scalp. You also have to clean your scalp, massage it with your fingers while shampooing and then rinse thoroughly, do this at least twice a week. Having a clean scalp means you are not prone to dandruff and fungus and itchiness and other bad stuff. 2. Secondly, moisturize your hair very often. There are tons of hair moisturizer available in the market, just choose one that is more natural. What I do personally to keep my hair moisturized is I use a leave on conditioner, hair lotion, aloe vera juice on my hair. And since I have a strong stiff hair, I moisturize my hair twice a day. 3. Use a natural essential oil to seal in the moisture. There are many different types of essential oil available in the market, and they are all good. Aside from keeping your hair moisturized a bit longer, they have many other uses too. A grapeseed essential oil is one good example. It is a perfect source of antioxidant, and very effective in restoring a dry, damaged or irritated skin or scalp. Grapeseed oil is very good for skin toning and moisturizing, and it blends well with other essential oils. You can also try other essential oils like Coconut Oil, Rosemary Oil, Jojoba Oil, Lavender Oil, Thyme Oil, Almond Oil, Apricot Kernel Oil, Olive oil, Peppermint Oil, Wheat Germ Oil, Avocado Oil and so many more. These oils promotes hair growth, stimulate the follicles to keep the moisture. Feel free to try any of them, just remember to get the natural cold pressed and unrefined oil. 4. Hot Oil Treatment. 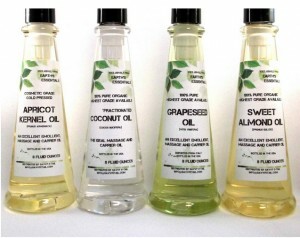 Hot oil treatments are the clean up oil that you put on your scalp and hair after washing and shampooing your hair. These oils are usually heated in either the microwave or stovetop, then massage the oil into your scalp and hair then leave on for 10 to 15 minutes, and gently rinse your hair with water. Homemade oil treatment can be made with a mixture of common household oils like olive oil, or coconut oil, some even use a mayonnaise. Hot Oil treatment adds extra healthy glow to your hair. 5. Protein Treatment. Protein treatment is a kind of deep conditioning that adds strength and resiliency to your damaged hair. If your hair breaks easily, that is a sign that your hair needs a protein treatment. One good example of a protein treatment product is this ApHogee Two Step Protein Treatment, it contains hydrolyzed proteins which makes the treatment very effective. Protein treatments work by filling in the gaps present on your hair strand and forms a temporary bond. It is recommended that those who need this type of treatment should do this every 6 to 8 weeks. This is a pretty strong stuff no need to use it frequently or you will damage your hair instead of keeping it healthy. 6. Massage your scalp, it is very vital to maximizing your hair growth, because massaging your scalp will help the blood flow and circulate better. And when your blood can flow it means that the nutrients can flow onto your scalp, helping your follicles grow the hair out faster. I have read somewhere in one of the articles I came across, that we should massage our scalp five times a day for 10 to 15 minutes each time. It may be a lot, but try to do as much as you possibly can. 7. Detangle your hair by combing your hair with wide rounded teeth combs. Because a tiny closed teeth combs can pull and tangles your hair and breaks your hair off. If you like using a hair brush, use a soft bristle brushes. The proper way to de-tangle your hair is to use a wide teeth comb then start at the bottom and work your way up to the top, that way you can handle tangle problems that are at the bottom and then gently come up so your hair won’t break easily. 8. Avoid using too much heat on your hair. There are varieties of hair heating tools (like hot comb, blow dryer, flat iron, curling iron etc.) that we use on our hair to attain the hair styles that will make us look beautiful. If you really have to use a heating tool, use it with minimal heat or use a heat protector. 9. Avoid harsh hair styling techniques. Do not put too much stress on your hair. I know that many of us likes having or trying different hair styling techniques like tight braids, individual braids, micro braids, french braids or even a very tight ponytails, but when we keep stressing our hairs, they break off and damage our hair follicles. 10. Rinse your hair with Apple Cider Vinegar. Dilute the ACV with water and rinse your hair with this formula. The acv will help close and seal down your hair cuticles making your hair more stronger. 11. Eat Healthy. Healthy food nurtures our body properly, making our body function properly, thus our hair will grow properly too. If we consume the right types of foods and nutrients, our hair will be able to achieve its optimal growth. 12. Drink 2 liters of water every day. 13. Exercise. Being physically active will keep our blood flow, and once that blood gets to flow, our hair will also grow. 14. Hair Vitamins. 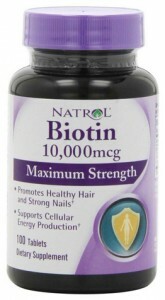 I am taking a hair vitamins called Biotin, and it is really effective in helping my hair grow. But consult your doctor first before taking any hair vitamins as some of the medicines may interact with certain nutrients and drugs that might give you health problems. Biotin deficiency can cause symptoms such as hair loss, fungal infections, dry skin, rashes and seborrheic dermatitis, and this can be easily treated with biotin supplements. There are several hair vitamins out there like MSM methylsulfonylmethane, B-Complex vitamins, Horse tail, Vitamin A and other multi-vitamins that can aid with your hair growth. 15. Use a satin or silk scarf or bonnet when you go to sleep. A regular bandana is made of cotton, and cotton is not good for our hair as it dries our hair out. A silk scarf or bonnet helps retain the moisture overnight, and it reduces the friction from your head and your hair, and this means less friction less breaking. These are all the tips I could share, and I hope this can help you on your current hair growth issues. I wish you good luck on our hair journeys and hope that our hair can grow as long and beautiful as you want it to be. You are also welcome to share some of your hair growth tips that may have not encountered yet, please leave a comment below if you have suggestions or questions, and I would gladly answer them. Have a great hair day!